To ensure long use and to keep feathers in place, this winter duvet features a box baffle construction and double stitched seams. The filling is of really high quality. The dimensions of the King size duvet differ from the international standards. 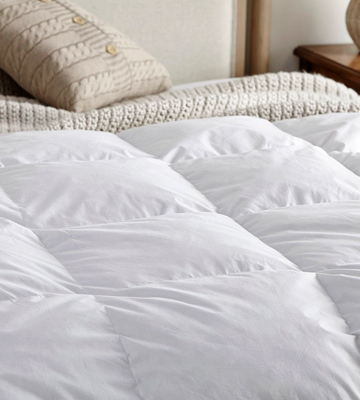 Boasting a high-quality feather filling and 100% cotton casing, this natural duvet has the ability to retain warmth and is pretty breathable. It is a great choice for those who value comfort above all. This model is made of natural wool. This material can prevent a lot of chronic diseases and is good for stabilisation of blood pressure. The cream colour can look not harmonious with white pillows or mattresses. 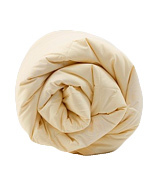 This natural Fogarty Pure Wool Duvet can not only provide you with a sound sleep but also bring some health benefits. It is very soft to the touch. 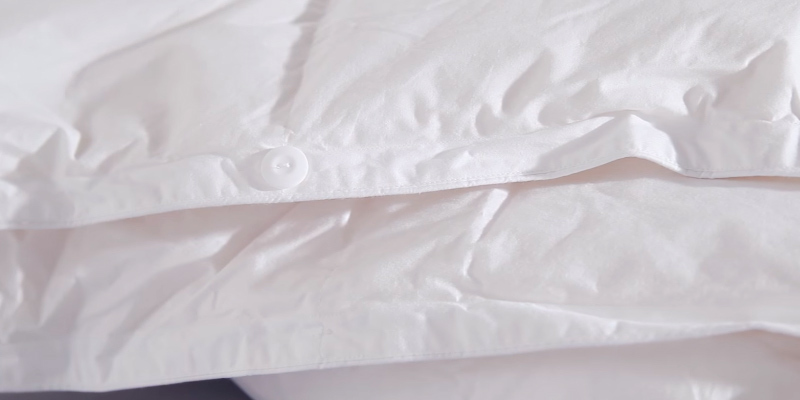 Polycotton is a unique fabric that combines the advantages of natural and synthetic fibres. 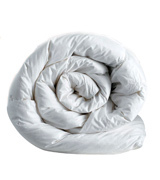 It is wear-resistant and does not require ironing, which makes this duvet very convenient to use. Buttons on the blankets are sewn not that securely. The Slumerdown set will be an optimal solution for any season. In the set, you will find 2 duvets of different density. You can use them together or separately. The casing is made of microfiber which boasts ultra-fine fibres. As a result, this fabric is extremely durable and reliable. It neither fades nor tears. Might not fit for use in summer since microfibre is less breathable than cotton. If you are looking for a warm but at the same time cheap duvet to keep you warm during cold nights, consider purchasing this model. A 5-year warranty from the manufacturer is a proof of its high quality. Scandinavian duck feather is considered to be one of the best filler options out there as it doesn't tend to get loose over time and it provides excellent breathability. It might have a strong odour right after unpacking. 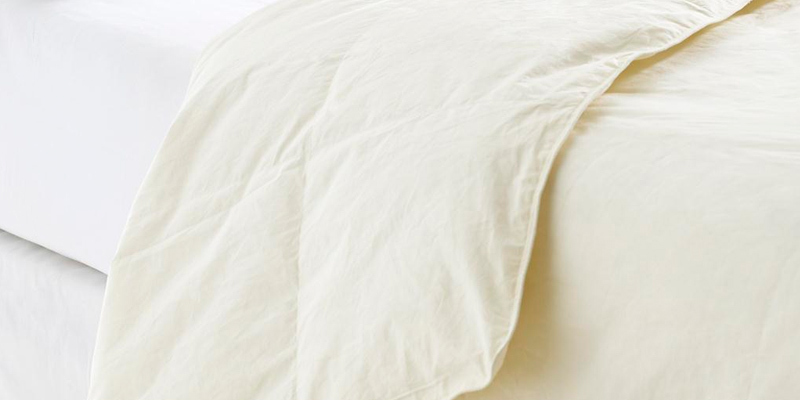 The Snuggledown duvet will be a perfect choice for anyone who's looking for a product made of all-natural materials. Non-allergenic and easy to clean, it's made to last you a lifetime. If you are looking for a natural duvet to keep you warm and cosy in cold weather, this Homescapes Super King Size 13.5 Tog is an excellent choice. 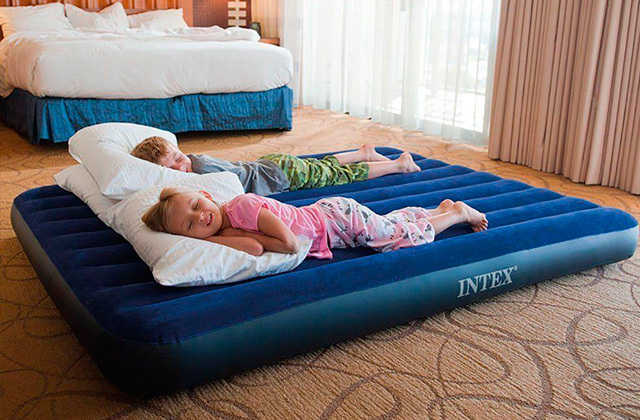 Featuring an anti-dust mite cover made from down proof cotton, it has 15% goose down / 85% goose feather filling. This light yet lofty combination will bring you overall relaxation. To make sure the quilt keeps you warm, it is stitched in a box baffle construction with an internal wall. 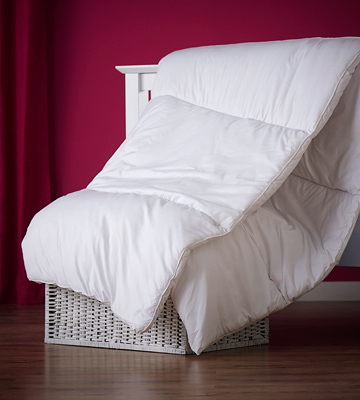 This keeps the filling in its position, so the duvet provides warmth all over with no cold spots and other inconveniences. Homescapes uses extra-graded small feathers for a larger fill power and more warmth. 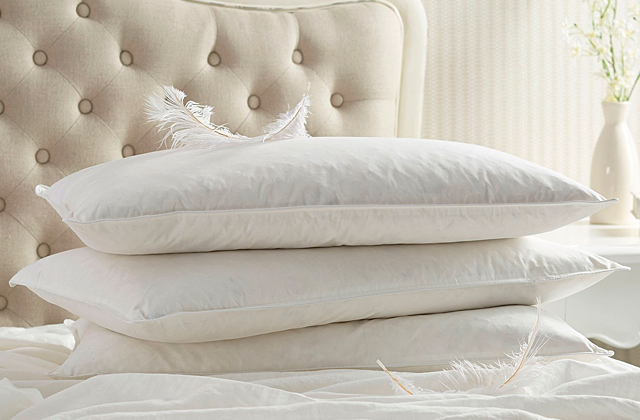 The duvet is carefully manufactured in ISO-9000 certified factory, servicing most UK's department stores. The item is washable, so you can clean it in your washing machine at home. With the baffle box construction and luxurious goose feather and down filling, this thick duvet is perfect for keeping you warm during winters. 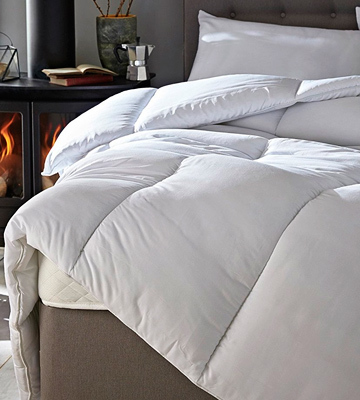 This 13.5-tog duvet will make you feel cosy throughout the cold weather. Needless to say, the duvet is just perfect for cold bedrooms. The manufacturer delivers this model with its own zip-up bag for convenient storage. 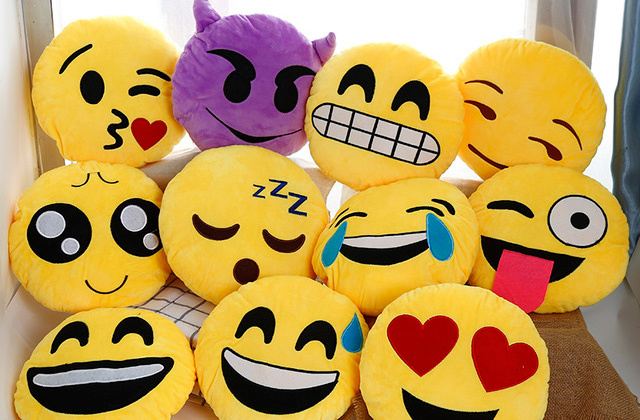 Besides, the Homescapes anti-allergy duvet is available in single, double, king, and super king size, so you have an opportunity to choose the best model for your needs and preferences. Products made from down are in high demand nowadays. Their levity and beauty can be attributed to the "royal" class. And a feather and down filling is considered to be one of the most valuable and environmentally-friendly natural materials. The Homescapes Super King Size 13.5 Tog duvets are soft, light in weight, elastic, and durable. They are able to retain heat and provide excellent air circulation. Lying under this blanket, you won't feel too chilly in winter or too hot in summer. Even people suffering from allergies have nothing to worry about. This anti-allergy duvet will not cause any harm to your health: the coverlet filler and fabrics do not contain harmful substances. In addition, it guarantees excellent air and moisture exchange. Generally, the Homescapes duvet is suitable for any environment and any climate. Natural sheep wool is one of the best materials for home textile. Wool offers not only heat-saving properties but also can relieve joint and muscle pain. Additionally, it increases the human immune resistance and its ability to fight colds and different infections. Due to its structure, the wool can provide a micro-massage effect, regulate blood pressure, calm the nervous system, relieve fatigue, and normalize sleep. Lanolin (animal wax), which is contained in wool, promotes the healing of wounds and fractures and has an anti-inflammatory effect. The Fogarty company is a well-known English manufacturer. It is one of the leading producers of bedding in Western Europe. This Fogarty Duvet is packed with 100 % New Zealand wool. The wool from this country is highly valued, because the ecology and environmental protection are a matter of national importance there. This duvet comes with a breathable cotton cover. Natural wool and natural fabrics are an ideal combination for a healthy sleep. Its advantages are obvious: it is elastic and durable, does not crumple, provides excellent thermal insulation and breathability, regulates humidity, and allows the body to breathe. The Fogarty 368133 with woollen filling can be washed at a temperature of 40 degrees without adding any bleach, of course. You should dry it at low or medium temperatures. It is recommended to shake it periodically to keep the duvet well-padded. The Fogarty Pure Wool Duvet will create a comfortable environment for your sound sleep and have a therapeutic effect on your body. How to Take Care of a Wool Duvet? Wash it at a temperature of not higher than 30-40 degrees. Use special detergents with lanolin for washing. Make sure that you do not expose the blanket to any solutions containing chlorine. Try to dry it unfolded and in a horizontal position. Ventilate the blanket twice a month (or at least once) for several hours when it is dry and not too sunny. This will allow air to circulate better. As a result, the product will self-clean. Do not iron the duvet. 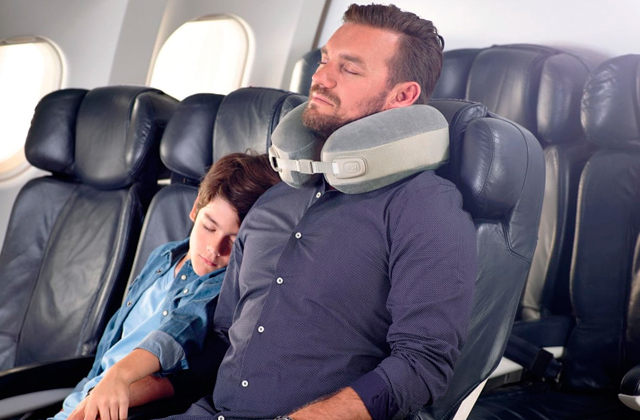 If you purchase the Fogarty 368133 stuffed with 100% New Zealand wool, then you will become the owner of a unique and helpful product which was made to last. The Slumberdown All Seasons 3-in-1 15 Tog Combi Duvet is filled with the hollow fibre. It is an innovative polyester thermo fibre. 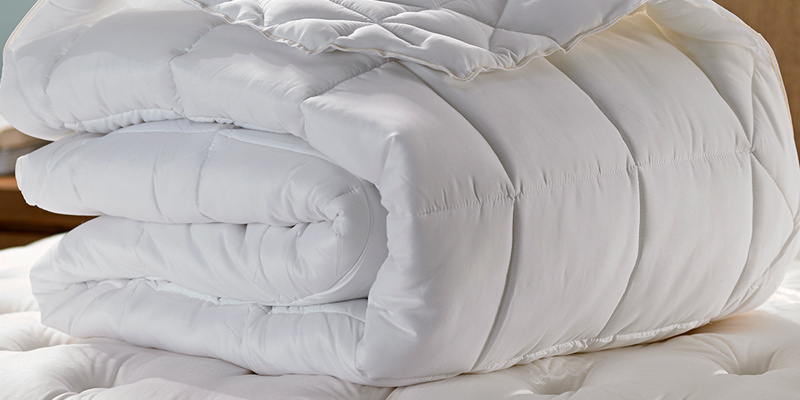 Due to the hollow fibre structure, the duvet has a good heat capacity. The siliconized impregnation does not allow the fibre to lump and, as a result, the bedding keeps its nice appearance for a long time. This hollow fibre is a unique filler for blankets. 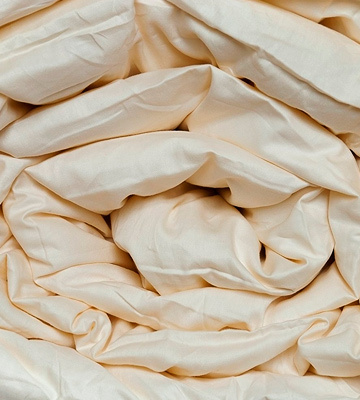 It makes this duvet rather soft - it resembles silk or cashmere. The Slumberdown duvet has good protective antibacterial and antimicrobial properties as well. 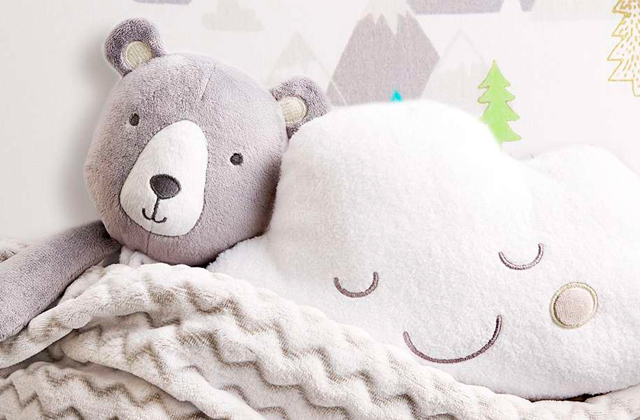 Lying under this comfy blanket, you will feel warm and cosy. The best part is that in hot weather, the blanket does not stick to your skin. Instead, it ensures a sensational cooling effect. This model is suitable for all 4 seasons, as it consists of two parts. For a warm season, you can use just one part and for a cold weather, it is better to use two blankets together. The parts can be easily connected with buttons to turn into a winter duvet. Owing to this design, the blanket allows your body to breathe. Yet, all the heat remains under the blanket. The blanket neither has its own specific smell nor absorbs any other odours. This feature is especially important for allergy sufferers. A blanket filled with hollow fibre is a very practical and useful investment. This duvet is environmentally and hygienically safe. Having purchased this product, you do not have to worry about mites, moths, and other issues. This economical and functional Slumberdown 1158AMZ77 coverlet is a wonderful alternative to duvets with natural fillings. One more plus is that washing hollow fibre products is as simple as possible. You can do it almost at any temperature and using any laundry detergents without being afraid of damaging the duvet. Talking about the casing, it is made of polycotton. This is one of the innovative high-tech materials for home textile. It is a combination of natural cotton and synthetic fibres (polyester). 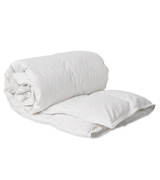 Polycotton is widely used in the production of covers for pillows, blankets, and bed linen. By the way, you can find interesting that 8 out of 10 hotels in the world prefer polycotton linen because of its practicality, affordability, and convenience of use. Being a cost-effective and usable model, the Slumberdown All Seasons 3-in-1 15 tog king size duvet is a brilliant solution for people who care about their health and also for those who suffer from allergies to wool or down. Modern technologies develop with incredible progress. And bedding production is not an exception. The Silentnight 13.5 tog double duvet has an innovative microfibre covering. It is a synthetic material produced from polyester fibres. Microfiber has a dense and very light structure. Microfiber threads are extremely thin: the thickness of one filament makes approximately one-sixteenth of a human hair, or, more precisely, it is about 0.06 millimetres. Microfiber fabric is highly durable and completely washable. Also, it dries after washing much quicker than other materials. It does not leave any fibres on the bed. The Silentnight Warm and Cosy 13.5 Tog blanket with microfibre casing is very soft and elastic. Moreover, it perfectly saves the heat of the human body. Does not have any pills. Does not stretch and does not run up. Easy to wash (for example, you can clean grease stains without using chemicals). Quickly dries (numerous pores located between the microfibers are able to quickly absorb liquid). Ensures uniform distribution of static electricity. Moth or other pests are not dangerous. 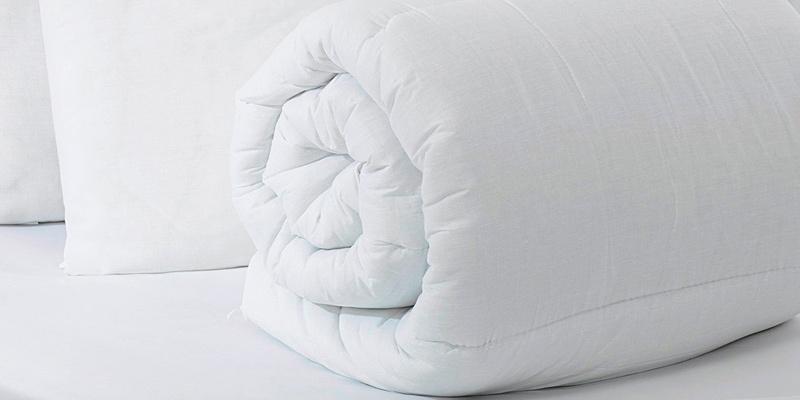 As for the filler, this Silentnight winter duvet comes with the hollow fibre filling. This modern innovative material is gaining increasing popularity all over the world. It is a synthetic polyester fibre with a hollow structure. This nonwoven fabric consists of micro-springs, which ensures its lightness, durability, and tremendous elasticity. By its properties, this synthetic material is close to the swan's down. This blanket with hollow fibre is an economical, practical, and functional accessory for sleeping. This kind of filler is safe for both adults and children, which is an indisputable advantage that makes this model suitable for the whole family. Being a pretty reasonably-priced model, the Silentnight 13.5 tog double duvet boasts the high-quality design and modern materials. 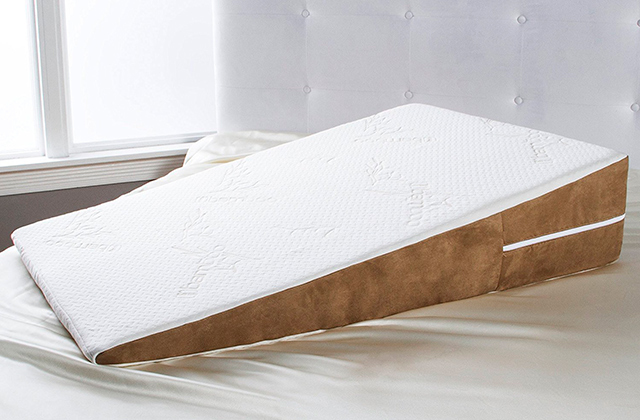 Undoubtedly, this model is ideal for a comfortable and restful sleep. Cotton fibre is the most environmentally friendly fabric ever. Basically, it consists of cellulose. The special processing makes the cotton products hypoallergenic and gives the material good hygroscopic properties. Recently, the popularity of cotton fillers has grown significantly. It's easy to take care of, pleasant to touch, and, of course, it's all-natural. All the Snuggledown duvets with cotton casing are manufactured with modern equipment using the latest technologies. 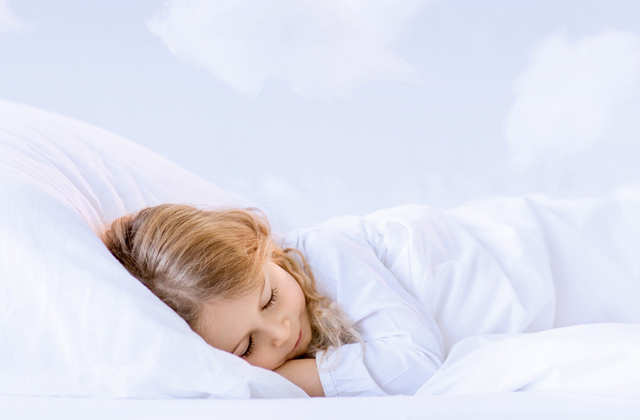 According to sleep experts, there is nothing better than cotton blankets, as it allows the body to breathe. Duvets filled with down and feathers are lightweight and flexible, and they warm better than others. 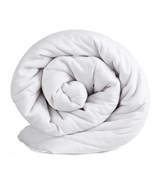 This Snuggledown duvet was produced with the Scandinavian duck down/feather. Thus, it is pretty versatile and suitable for all seasons. The Snuggledown Scandinavian Duck Feather and Down Duvet is highly appreciated for its softness, warmth, and ability to absorb excess moisture. Just imagine - the cotton material is able to absorb up to 20% of moisture, remaining completely dry. The cotton products get wet only after absorbing more than 60% of moisture. Also, this cotton blanket is ideal for people with allergies (if you are not allergic to down, of course). 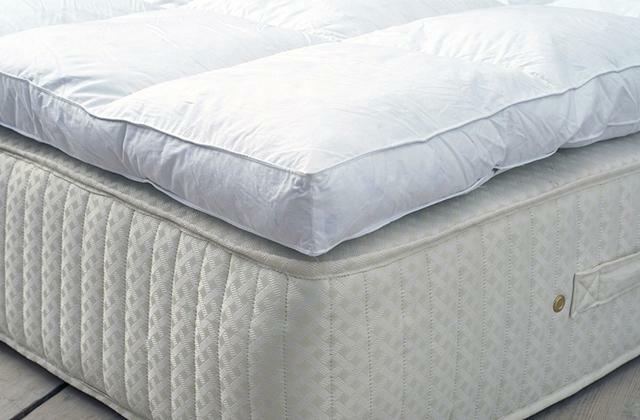 Cotton regulates and balances the temperature, keeping you warm during sleep in a cold room. The combination of the Scandinavian duck down (or, more correctly, down with feathers) and 100% cotton casing makes this model a great "heater" in the cold weather. The quality of the duvet largely depends on the way of its quilting. The box baffle construction is considered to be more reliable and practical than the patterned lines. 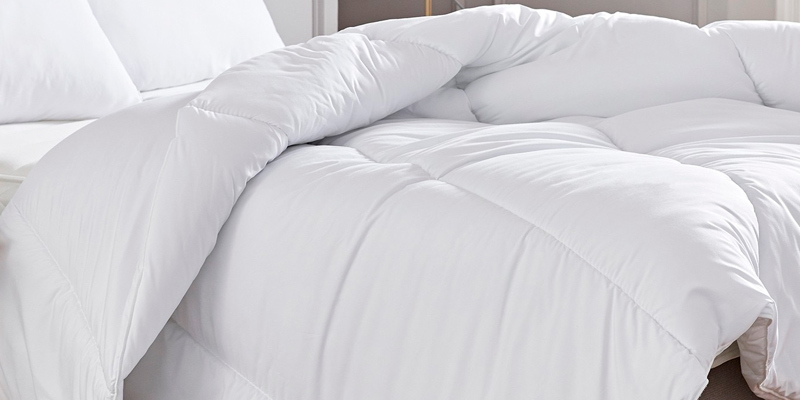 To be more precise, this duvet consists of separate sections with filler. This type of sewing prevents the blanket from deformation and prolongs its lifespan. Comfort and hygiene are other aspects you need to be aware of if you want to buy a blanket with a high-quality natural filler. This duvet contains no substances harmful to human health. This product offers excellent air and moisture exchange. You can be confident, the Snuggledown Scandinavian Duck Feather and Down Duvet will bring you nothing but pleasure. When we are looking for a new blanket, most of us, first of all, consider its quality. Buying a duvet is an investment that can make your life better, providing a sound and healthy sleep. Like any other investment, it will pay off if you make the right choice from the very beginning. Duvets are light in weight, soft, and flexible. The bedding manufacturers use advanced technologies, which allow them to create quality duvets to meet the needs and requirements of even the pickiest customers. Nowadays, the majority of blankets contain only high-quality fillings that will not cause allergy or any other health issues. A good blanket should meet two main requirements - to ensure natural air circulation and to provide high thermal conductivity. These properties depend on the material a duvet is made of. Today, the most popular fillings are down, wool, fibre, and synthetic. Along with a warm duvet, you may consider purchasing one of the memory foam pillows to further enhance the quality of your sleep. In order to choose an appropriate duvet, you should take into account the season during which you plan to use it, the type of the filler, and the technology of duvet fabrication. The duvets are basically divided into five groups: demi-season ones, winter, summer, especially warm, and those consisting of 2 parts (one part is used for a warm season, and both parts connected with buttons are used for a cold season. Versatile duvets are suitable for autumn-spring seasons and sometimes even for use in well-heated bedrooms in winter. Warm blankets are the best choice for a cold autumn-winter season, while lightweight duvets ensure maximum air circulation during hot seasons. Also, it is worth paying attention to the filler. For those who feel cold both in winter and in summer, it is reasonable to choose wool duvets. If you feel cold in winter only, you should select a down model. However, if you fall into the category of people who tend to feel hot all the time no matter the weather outside, it'd be best to opt for silk or fibre fillers. 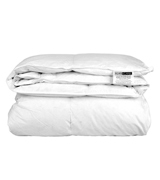 Goose down duvets are very warm and lightweight. They ensure good air circulation, providing comfortable heat distribution. Wool blankets also ensure an excellent ventilation and help maintain the optimum body temperature. They perfectly absorb moisture and at the same time remain dry. Wool blankets are widely used for the treatment of neuralgia, neuritis, osteochondrosis, arthritis, and rheumatic pains. Duvets with fibre are recommended for people who are prone to allergies. Silk blankets adjust to the temperature of your body and environment. Silk is good for the prevention of rheumatism, cardiovascular and skin diseases. The box baffle design is the most common type. The filler is distributed over separate "boxes". Dividers in them do not allow the filler inside the blanket to move. The quilts are made on special quilting machines. Inside a quilt, the filler is held in place by a special stitch that does not let the filler move into the corners of a blanket and "get stuffed". Well, now you know general types of duvets, and we hope this information will help you to choose the duvet which will be the most suitable for you and your family. The history of a blanket dates back to 1340, when a Flemish weaver Thomas Blunkett, who lived in England, developed a very fleecy woollen fabric specifically for covering up. Wool was the only material for these products for centuries and only much later cotton and linen covers, as well as quilts, came into use. Over time, it turned out that the function of this thing is wider than just warming a person during cool nights. For example, Native Americans wore blankets like a coat or robe, while Mexican men wore blankets instead of a cloak. This way, they invented a national Mexican clothing ("poncho"). This plain style of clothes quickly gained popularity throughout Latin America. The barter trade was a really interesting phenomenon: the number of fur skins brought by the Indians identified the size of the blanket they got. In the early 1800s, the Navajo tribes started their own weaving and began producing stunning woollen blankets with fascinating patterns in the shape of bands, diamonds, triangles, and diagonal lines that created optical illusions. European tourists dreamed of buying a Navajo duvet and even organized special tours to the local souvenir markets. Since the end of the XIX century, the duvets production developed, and this ethnic design mixed with the European style. Since then, the Navajo blankets have a traditional distinctive design and are still appreciated by lovers of stylish home accessories. 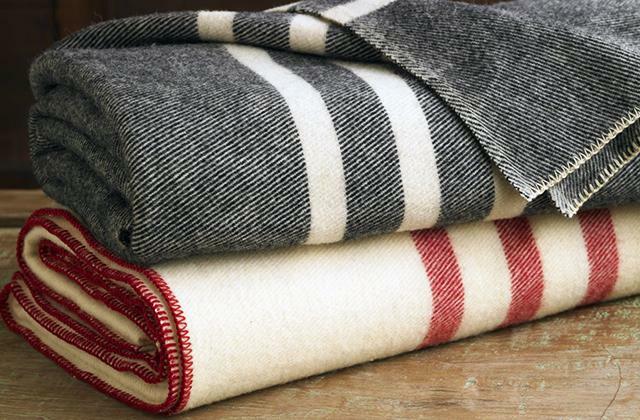 For collectors, the most valuable blankets are of North American origin. At the end of the 17th century, in the Hudson Bay area (the territory of present-day Canada), Europeans opened industrial factories and manufactured a lot of simple household gear there. Native Americans brought them furs in exchange for knives, kettles, needles, beads, and other things, including bedding. European warm and waterproof woollen duvets were highly appreciated by the Indians, who at that time wore clothes made of skins, fur, feathers, and cotton. These clothes were used as coverlets, too. The tribals were also amazed by the colours. They adored the bold strips of bright shades (green, red, and yellow) on a white tint. Also, native Americans found incredibly attractive solid sheets of scarlet, light blue, light green, and indigo. The white sheets served for excellent camouflage in the snowб while the bright colours showув the owner`s status. In order to make a blanket last for a long time, experts advise ventilating it once a week, washing once a month, and changing every few years. You can bring a blanket to the dry-cleaner's for washing, but when you have no possibility to do that, you can use a delicate mode in a washing machine. Then, dry the product horizontally, shake it, and hide it from the sun. To prevent the filling from getting crumpled, you need to beat the blanket from time to time. Steam processing helps you to get rid of mites and other hazardous insect-like organisms. The most expensive blanket is that made of silk. It was first made in China in the third century BC. Thermosaving properties of a silk duvet impress everyone, but not everyone can afford it, as its price is still very high. Q: Is it possible to wash a down duvet? A: Although it is recommended to dry clean products of this type, you can wash it in your domestic washing machine. It is better to do the washing in summer, on hot days. The faster the down dries, the less likely it will acquire a musty smell after all the cleaning procedures. Q: How often should I wash a duvet? A: In most cases, modern fabrics are processed with a special agent due to which you will not have to wash your duvet too often (once every six months.). Although, over time, duvets need more thorough care. Q: Are all blankets hypoallergenic? A: The majority of manufacturers try to do their best to make blankets of high-quality materials that are completely safe for your health. Thus, most duvets do not cause allergic reactions. However, you should always check the materials a duvet is made of before the purchase. Q: Does a camel wool blanket have any smell? A: No, a camel wool blanket does not have any smell. If you feel some odour, then the wool has been handled incorrectly. In this case, various insects can appear, which is dangerous to human health. Q: What is a service life of a duvet? 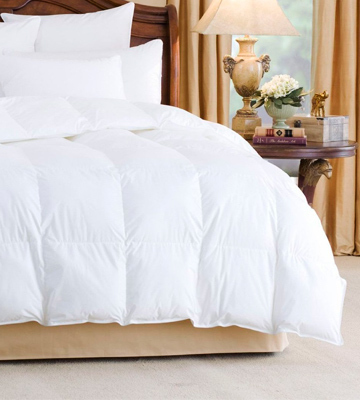 A: With the proper care, a quality duvet will last for a very long time, usually until its casing wears off. Also, it depends on the ratio of the down and feathers in the filling. If the feathers dominate, the service life is shorter. The most durable blankets are those with 100% down filling. Q: Why are some types of duvets more expensive while others are cheaper? A: There are three main factors that determine the cost of a duvet: the down quality, the feather/down ratio in the filler, and the fabric the blanket cover is made from. Q: What is the best duvet for people prone to allergies? A: What makes a good duvet for allergy suffers is the quality of filler it contains. In general, though, all people suffering from any type of allergy are recommended to choose blankets with fibre filler as it contains no harmful substances and is totally hypoallergenic. Also, it's considered to be one of the most lightweight and easy to maintain types of fillers out there suitable for all year round use. 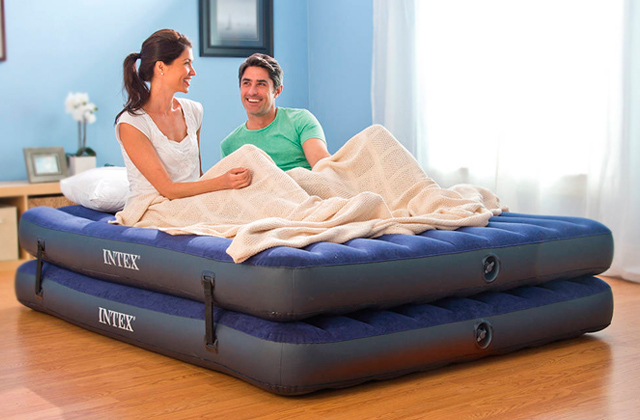 Q: What is inside the weighted duvet? A: Inside the weighted blanket, you will find either buckwheat husks or granules made of a special hypoallergenic polymer. It is up to you to decide which filler is better for your needs and preferences. Both fillers have all the necessary hygienic certificates. Q: How to choose a warm yet lightweight blanket? A: When looking for a duvet, you should take into consideration the warmth degree of a blanket you are going to purchase. Also, pay attention to the density of its filling. With a high filling density, the blanket will be warmer, while with a low filling density, you will get not very warm but lightweight model. 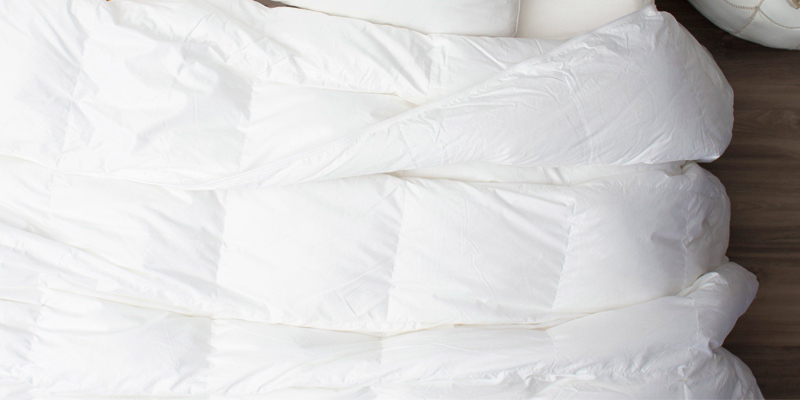 Q: How to choose a duvet with the bamboo filling? A: Well, choosing a bamboo blanket, you should first consider the composition of the filler and the cover. Bamboo fibres are obtained mechanically and chemically. It is good if the cover is made of bamboo flax and cotton. Check the marking "bamboo linen" on the label. The filler itself will be indicated by the marking "bamboo rayon" (bamboo silk) or "bamboo viscose". Q: What coverlet is the most suitable for a newborn? A: The best blanket for a newborn should be warm but not too hot, breathable, hygienic, eco-friendly, hypoallergenic, and hygroscopic. Besides, it should be able to maintain a good microclimate in the crib. Ideally, the model should also be easy to clean so that it can be often washed and dried with no problems after the children's "accidents". 1. Michelle Ullman Duvet Buying Guide, The Spruce. March 10, 2017. 2. Zoe Galloway How to choose a duvet: Find out what tog, filling and size is best for you, The Independent. September 14, 2017. 3. How to Choose a Duvet, wikiHow. 4. How to Choose a Duvet, M&S. 5. Duvets Buying Guide, Dunelm. 6. 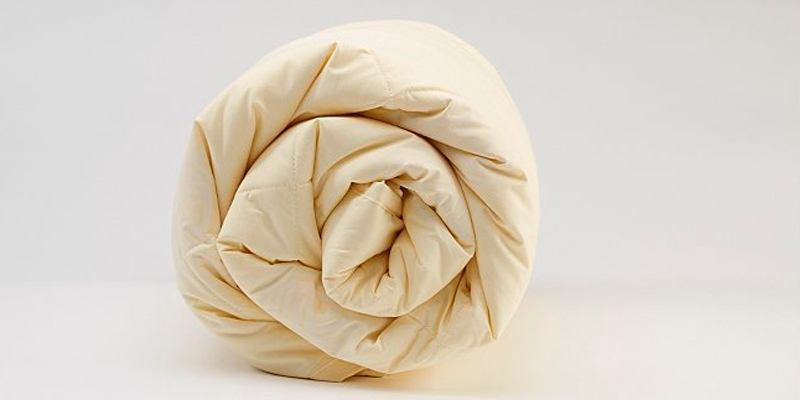 Duvet Buying Guide, Overstock.com. 7. From filling choices to talk about tog – here’s what you should know before buying a duvet, Yuppiechef. 8. Buying Guide to Duvet Covers, Bed Bath & Beyond. 9. 7 Tips For Buying A Quality Down Comforter | Purchasing A Quilt | How to Choose The Perfect Duvet For Men, RMRS. 10. How to choose a new duvet, The Sunday Times. November 19, 2017. 11. CHOOSING THE RIGHT DUVET, The White Company.